New release: Eurospy Music Collection! Spy Vibers, some exciting news crossed my radar this morning. Screen Archives Entertainment as announced the upcoming release of a 3-CD set called Bruno Nicolai: The Eurospy Film Music Collection. From the press release: Quartet Records and GDM are proud to present a mammoth 3-CD set with the complete, remastered edition of scores by the great Bruno Nicolai from three of the most renowned and lovely mid-sixties Eurospy movies. Upperseven: L’uomo da uccidere (1966) was directed by Alberto De Martino and starred Paul Hubschmid and Karin Dor. The film is an ambitious spy adventure that captures some of the scope of the Bond films. Bruno Nicolai wrote an energetic, memorable, melodic score, recalling music written for the genre by Barry, Mancini and Schifrin. Despite the popularity of the film, the album wasn’t released in 1966. The music was released for the first time in 1997 on a now hard-to-find and very expensive Japanese CD. The CD omitted the beautiful “Main Title” song played by Paola Orlandi, since it could not be found on the master tapes. We are happy to include the song in this box-set for the first time, taken from the film’s mono music stem. 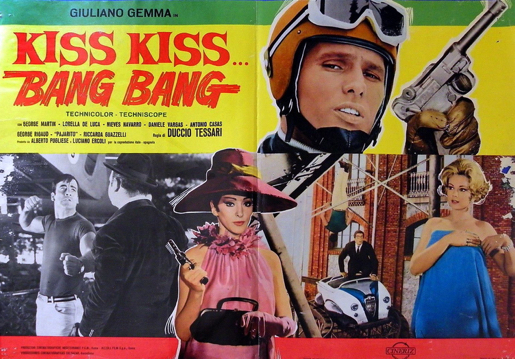 Kiss Kiss Bang Bang (1966) directed by Duccio Tessari and starring Giuliano Gemma and Lorella De Luca, features an infectious score with three main themes and a catchy song, all submitted to a lot of fun and exciting versions, ranging from a waltz to a Baroque-style treatment and the musical style of 007. Although at the time of the film’s release the Italian label Parade issued only a 45-RPM EP disc, the Japanese label SLC released a CD with 52 minutes of the score in 1997. The Japanese label Volcano issued a 58-minute CD with the score “almost” complete in 2000. Around three minutes went unreleased, but they have been included in this box-set. Agente Speciale LK (1967), directed by long-time Nicolai collaborator Jess Franco, starred Ray Danton and Barbara Bold. The “pulp” comic tone of the film inspired Nicolai to write a fun, varied and unbridled score that ranges from sophisticated jazz and psychedelic sounds to a parody of Bond scores. The soundtrack album was released for the first time by the German label Lucertola in 1997, and reissued with some bonus tracks in 1999 by Dagored in Italy. This is the first time the score has been presented in its entirety. Only 500 editions will be pressed! 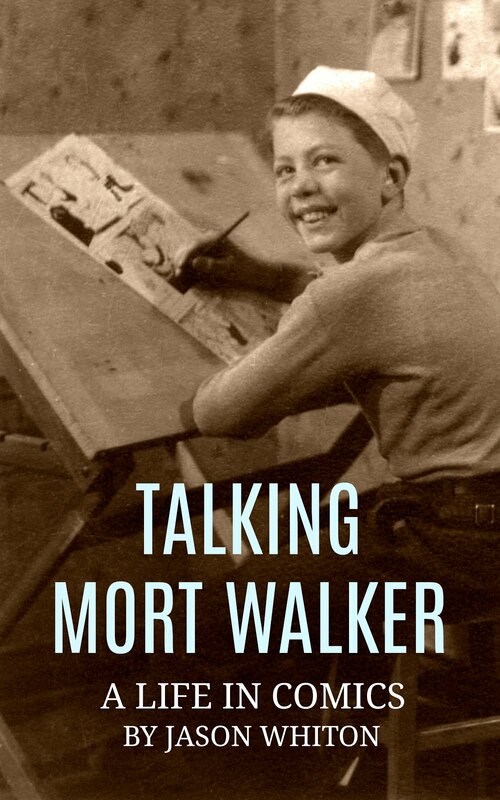 Carefully restored and mastered by Claudio Fuiano from the original master tapes, the lavishly designed 20-page booklet includes extensive liner notes by Randall D. Larson. More info at SAE. 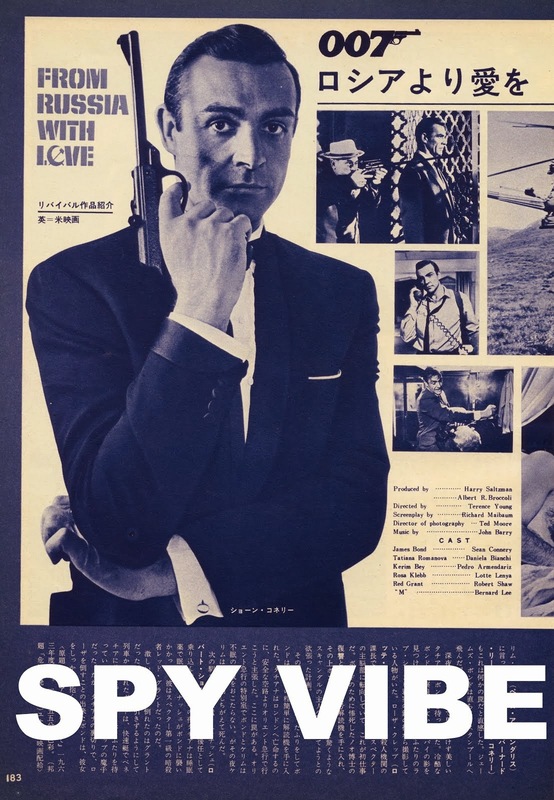 Check out my post about an Upper Seven design doppelgänger on Spy Vibe. Enjoy! 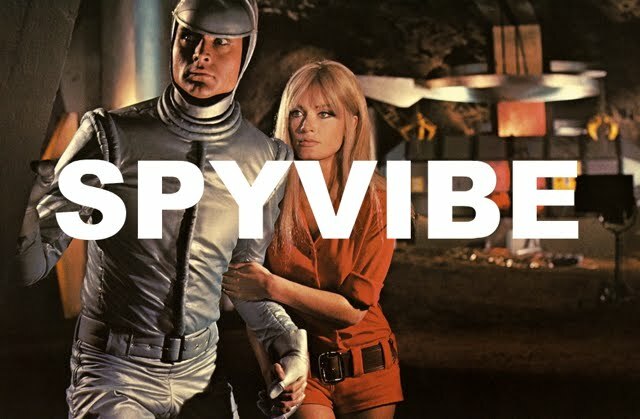 Selected Spy Vibe Posts: Beetle Bailey in West Berlin, Why Mort Walker?, Spy Vibe radio: The Beatles Help!, The Avengers Critical Guide, The Spotnicks, Benny Spies, James Pond 0017', Satire Stones, Annette Andre Book, Cat Day, Spy Vibe Radio: Get Smart, Caine: My Generation, Interview: Ian Ogilvy, ITC Elstree Event, Horror of Party Beach, Sylvie Vartan Renown, Ringo At 78, Dark Shadows Strips, Spy Vibe Radio: Flint, Archie Batman 66, Paul at 76, Beatles Pac-Man, Spy Vibe Radio: Jerry Cotton, The Invaders, 007 Horowitz Book Tour, McGoohan/Prisoner Event at Elstree, The Prisoner Interviews Vol 1, British Underground Press, Interview: Fab4 Mania, Bond Cocktail Book, Bond at Bletchley, Spy Smasher, Spy Vibe Radio: Peter Gunn, Agent Zero M, New Prisoner Comic, Dr. No Villains Edition, Spy Vibe Radio: Danger Diabolik, Dr. No 60th, Oy-Oy-Seven, Spy Vibe Radio (UFO), Cold War Comic Strips, Thunderball Event, Mission to India, Mort Walker Celebration, Peter Wyngarde Celebration, Batman 66 Exhibit, Prisoner Fifty Event, Ian Fleming Publications 2017-2018, Interview: Ed Hulse Pulp, Avengers Audio Drama, Interview: Callan At 50, Interview: Playboys, Spies, Private Eyes, TWA Returns, Spy Vibe Radio 8, Interview: Ryan Heshka, Mid-Century Modern Schulz, Agent Werewolf, Mata Hair Exhibit, Johnny Sokko 50th, Interview: Trina Robbins, Eddie Izzard, The Prisoner Capt Scarlet 50th, Hugh Hefner R.I.P., Jack Good R.I.P., Interview: Shaken Not Stirred, Callan 50th, Spy Vibe Radio 7, The Prisoner 50th Event, Spy-Fi Event, Kaho Aso 007, Two Million, Bo Diddley, Carnaby Pop, Le Carre Events, Billy Bragg Skiffle, Elvis 68, Jack Kirby The Prisoner, Casino Royale Concert, Review: The Prisoner Vol 2, Interview: The Prisoner Essential Guide, Maud Russell Mottisfont, Spy Vibe Radio 4, Batman Gallants, Adam West R.I.P., Village Triangle, Roger Moore R.I.P., Spy Vibe Radio 3, Sgt Pepper 50th, Satanik Kriminal OST, 60s Overdrive, Make Love in London, Spy Vibe Radio 2, Spy Vibe Radio 1, James Bond Strips, Propaganda Mabuse, Interview: Police Surgeon, XTC Avengers, 1966 Pep Spies, Batman Book Interview, Exclusive Fleming Interview, Avengers Comic Strips, Robert Vaughn RIP, UNCLE Fashions, Thunderbirds Are Pop!, Interview: Spy Film Guide, Lost Avengers Found, The Callan File, Mission Impossible 50th, Green Hornet 50th, Star Trek 50th, Portmeirion Photography 1, Filming the Prisoner, Gaiman McGinnins Project, Ian Fleming Grave, Revolver at 50, Karen Romanko Interview, Mod Tales 2, Umbrella Man: Patrick Macnee, New Beatles Film, The Curious Camera, Esterel Fashion 1966, Exclusive Ian Ogilvy Interview, 007 Tribute Covers, The Phantom Avon novels return, Ian Fleming Festival, Argoman Design, Sylvia Anderson R.I.P., Ken Adam R.I.P., George Martin R.I.P., The New Avengers Comics, The Phantom at 80, 007 Manga, Avengerworld Book, Diana Rigg Auto Show, The Prisoner Audio Drama Review.